Intelligent Human Agent ™: Two Cars: What if We Could Empathize With Earth? Two Cars: What if We Could Empathize With Earth? Today on my way to work, I was missing my cushy car. On Tuesdays and Thursdays I drive our old Toyota truck. It's a manual, with manual steering and no radio. As I was missing our comfortable new automatic Camry and the radio, I thought: What if driving our cars made us as uncomfortable as climate change and fossil fuel pollution makes the planet? What if we got unusually hot or cold in our cars as we drove along? 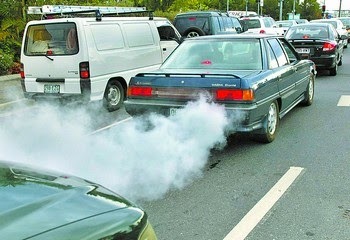 What if the air quality inside the car gradually filled with ozone, carbon monoxide, and carcinogens? What if the sea level inside the car began to rise, and the fresh water supply diminish? Maybe then, we would drive our cars a lot less. Maybe cushy isn't such a great thing after all.